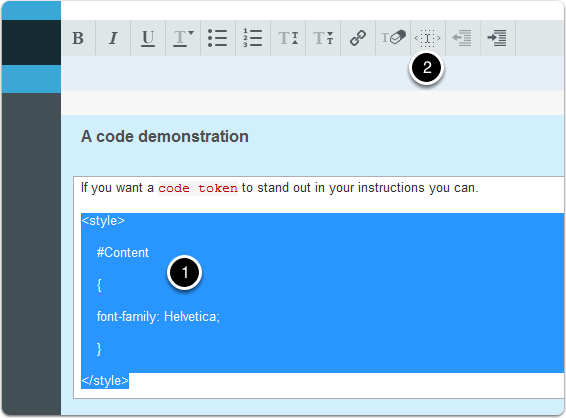 This article shows you how the code formatting option works. 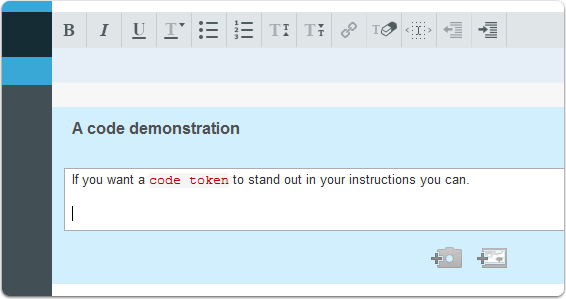 Clarify allows you to format code in your instructions as entire blocks of code or as individual words within a sentence. When you click the code formatting button, what happens to the text depends on what you have selected. 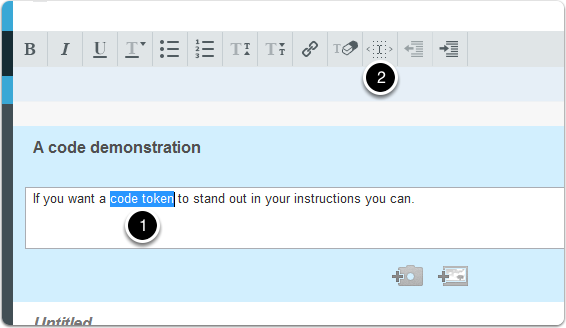 If you just want to mark a word or two as code then select the word(s)  and click the code formatting button . The selected words will be treated as code and formatted accordingly. 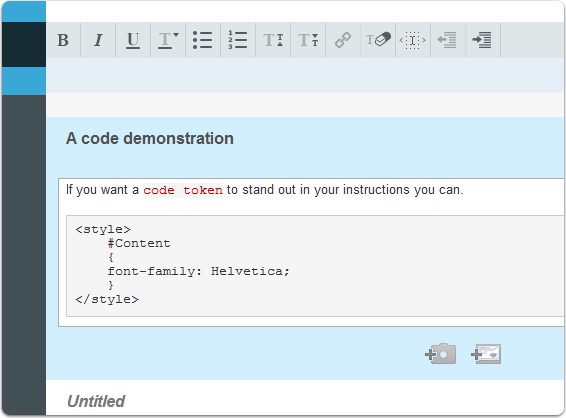 In any HTML output that Clarify generates, the text will be enclosed in <code>...</code> tags. If you want to highlight a block of text as code you can do so as well. If you have no text selected, multiple lines selected, or an entire line selected then the entire paragraph will be converted to a code block. Click the code formatting button. The selected text is converted to a code block. Any HTML output created by Clarify will wrap the text in <pre><code>...</code></pre> tags.